I knew about Sungnyemun coming into our trip, but as I explored the city, I learned that there were actually eight gates. 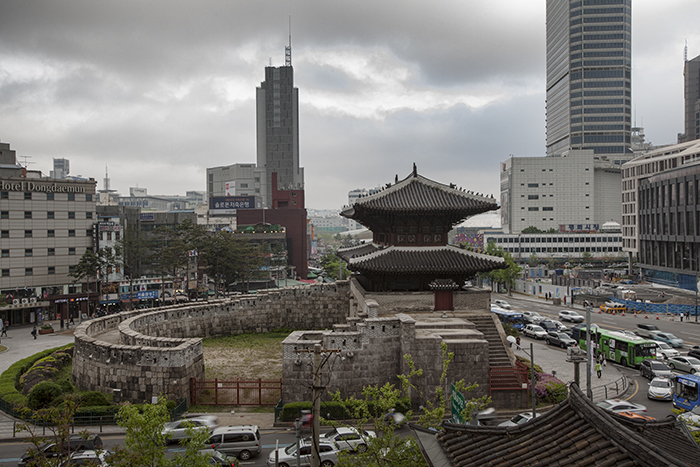 This dates back to when Seoul was a walled fortress. They had four great gates and four small gates. Of course, I'm crazy enough that I just had to make it a point to capture them all. Of the eight gates, only six still exist. Unfortunately, of those six, I only got around to five of them (I'll explain later). I'll start with what is officially called Heunginjimun. 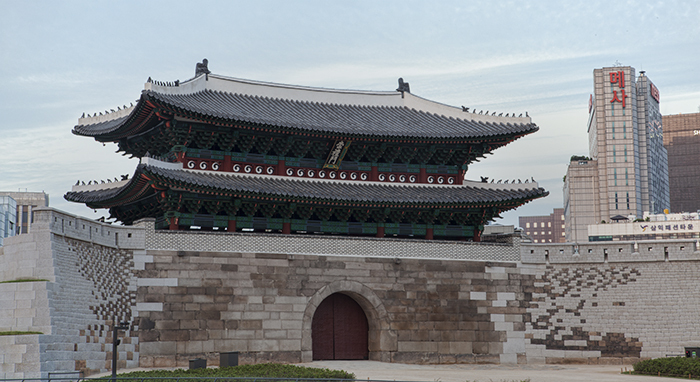 This great gate is more commonly referred to by its directional name, Dongdaemun (literally "east great gate"). I've already blogged about Sungnyemun (official name). 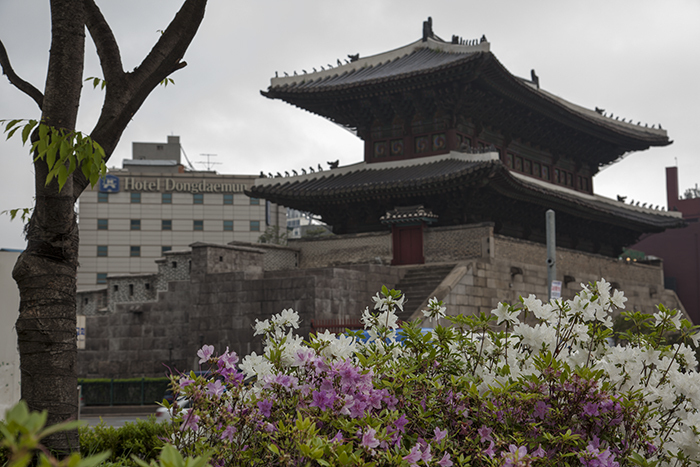 Directionally, this is the city's "south great gate," otherwise known as Namdaemun. Unsurprisingly, it sits right by the Namdaemun street market. 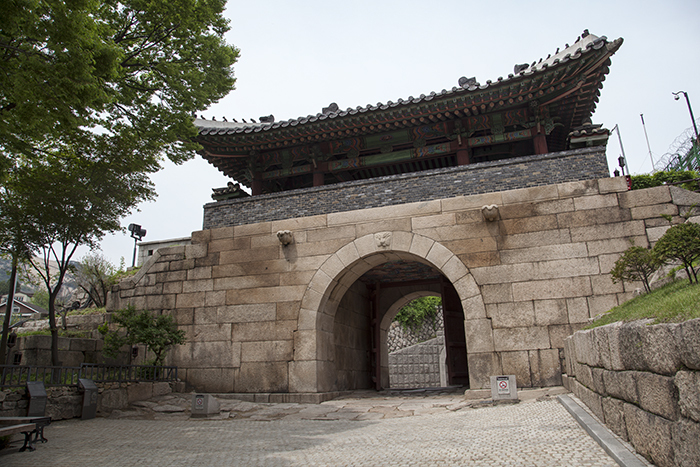 The final great gate that still exists is Sukjeongmun (also known as Bukdaemun or "north great gate"). Structurally, this one isn't as "great" as the others because it sits on top of a mountain and was used less frequently. 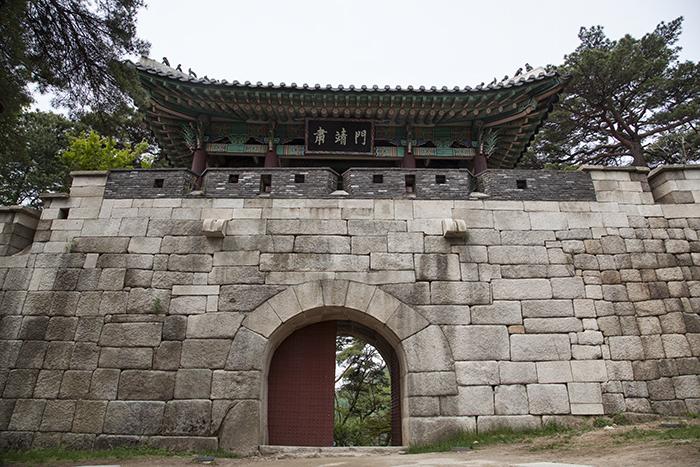 To access this gate, you need to hike up the mountain along the Seoul Fortress wall (that will be a future blog post). The nice thing about this gate is that you can actually walk inside it. At the end of the Seoul Fortress hike (or the beginning if you go the other way) is Changuimun—one of the four small gates. Its directional name is Buksomun ("north small gate"). 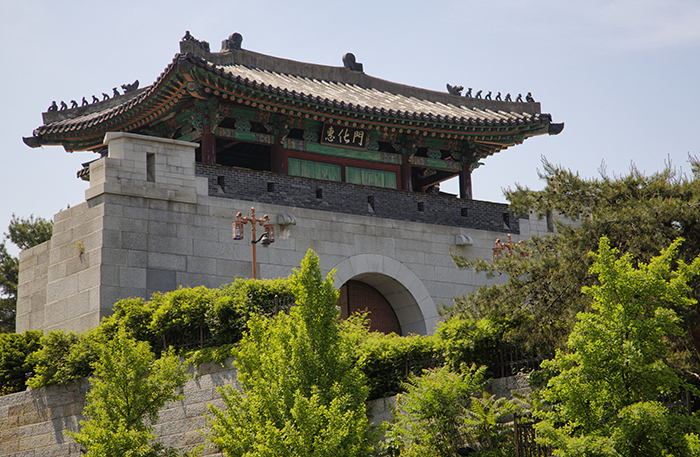 Finally, on the east side of town is Hyehwamun, otherwise known as Dongsomun ("east small gate"). 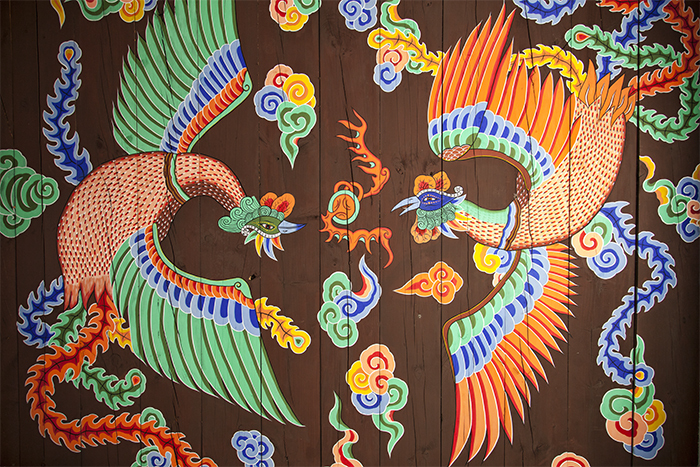 The painting on its wooden underside is quite colorful. As for the remaining small gate that still exists, I know why I failed to visit it. 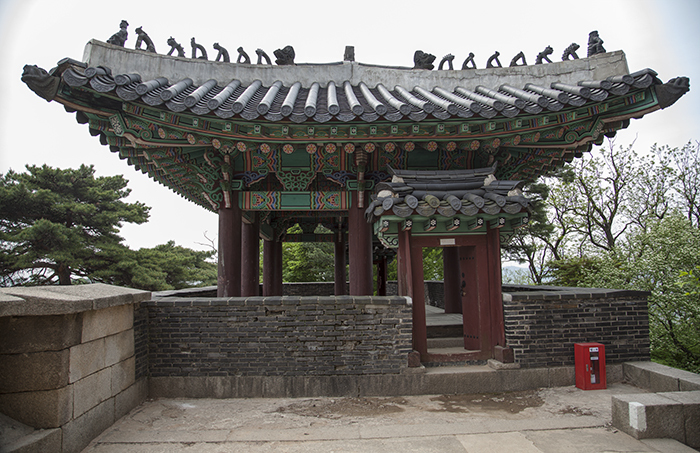 The gate is called Gwanghuimun officially or Namsomun directionally ("south small gate"). 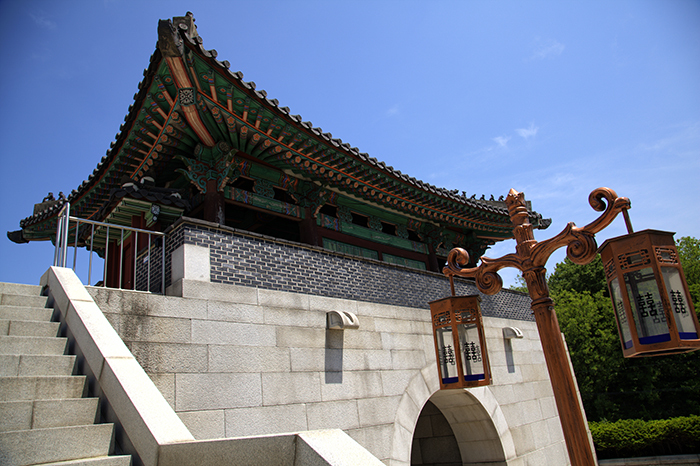 There is another gate in Seoul called Gwanghwamun, which I did capture (another future blog post). I confused their names and thought that I had already visited all of the gates.